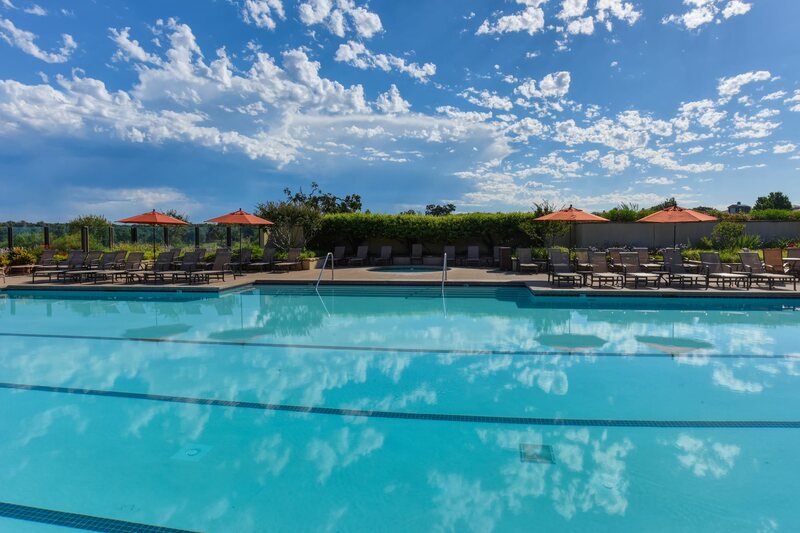 Serrano offers a junior Olympic-size pool, toddler pool and jacuzzi. During the summer months we have many activities offered - from social barbecues to swim lessons. At the pool, facilities are available for adult swimming, as well as for children's swimming and playtime. We now offer swim lessons for our members (and their guests). For those who take pleasure in leisurely pursuits, rest assured: there’s plenty of room here to simply sit back, relax and appreciate the year-round California climate – and the good life! The pool is heated April through October. The Jacuzzi is heated year round. 2018 Swim instructor is Alexandra Greer. Alexandra has experience teaching swim to a large range of students from infants, to teens, to adult swimmers. She has been a swimming coach for the Broadstone Barracudas, provides private lessons, and most recently taught at Steve Wallen Swim School here in El Dorado Hills. Alexandra is passionate about teaching and swim. She has been on swim teams and water polo teams her entire school career, and was a competitive swimmer for 4 years. She is very passionate about swim, and enjoys encouraging everyone in their swimming. Guests of Members are also Welcome!